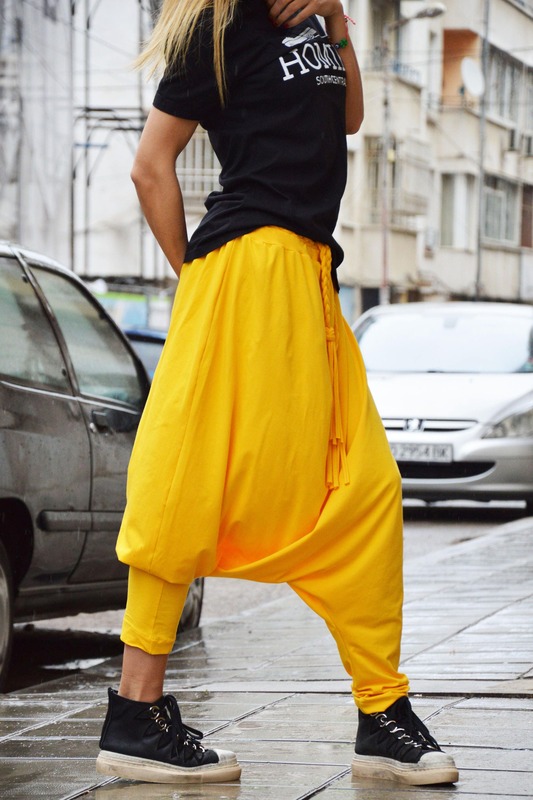 Loose Casual Yellow Drop Crotch Harem Pants . 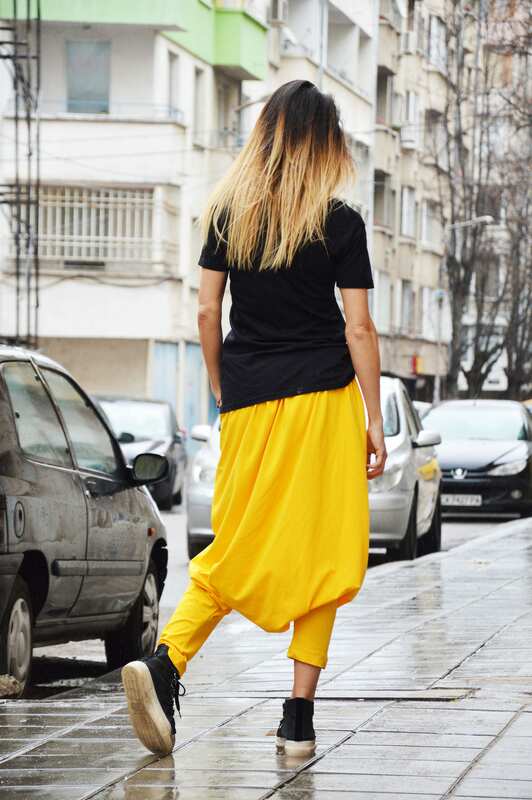 Combine it with a hat, colored bag or other accesories. Suitable for party or walking. Thank you. Love the pants!